15 years since we met. 6 moves (2 of which were transatlantic). Far too many sad goodbyes. 5 years of traveling around Europe. 7 years of wedded bliss!! I love you, Will. 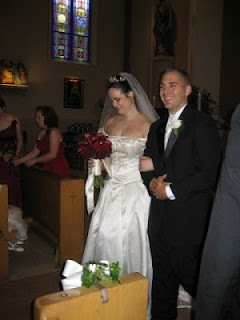 Thanks for joining me in this beautiful vocation of marriage and family life. There's no one else I would rather spend the rest of my life with. Happy 7 years, and many, many more to come!